The widespread popularity of online gambling has fashioned a multibillion dollar a year industry with anchor points in Europe, the US, Canada, Australia, Asia, Africa, and countries throughout Latin America. Online casinos typically run multivendor platforms, comprising the most sophisticated technology on the market. Presently, the #1 online vendor is NetEnt with its revolutionary audio-visuals and sophisticated gameplay. 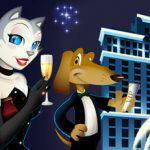 NetEnt (Net Entertainment) was created in 1996, as a creative wunderkind for online gaming. 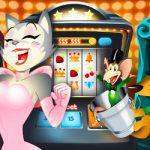 This vendor now boasts a glittering selection of slots, card games, table games, and other games. With over 200+ gaming titles to its credit, including Starburst, Jack and the Beanstalk, Gonzo’s Quest, and Guns N’ Roses, NetEnt is a hard act to beat. As one of the most established vendors in the industry, NetEnt leads the way while others follow. 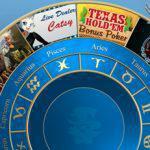 Multiple vendors currently hog the limelight with online casinos. Another top-tier operator is Evolution Gaming. 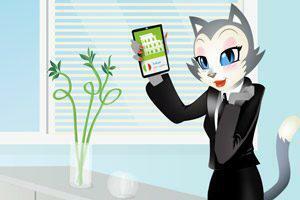 This company was formed in 2006, with a specialization in live dealer casino. It sports casino studios in Eastern Europe, the UK, and Malta. Evolution Gaming focuses on exceptional gameplay, employs sophisticated technology, and the most talented and professional dealers in the industry. Evolution Gaming has successfully bridged the gap between traditional casino table games and online casino entertainment. This company is the gold standard upon which other vendors measure themselves. Among the many popular games currently offered by Evolution Gaming are Live Blackjack, Live Baccarat, Live Casino Holdem, Live 3 Card Poker, Live Immersive Roulette, and scores of others. A listing of industry-leading vendors would not be complete without mentioning the most influential, prolific and high-quality companies in the form of Microgaming, Playtech, IGT Yggdrasil, Quickspin, Play N’ Go, NYX Interactive, Random Logic, BetSoft, iSoftBet, and others. The synergistic effect of each vendor’s contribution to enriching the online gaming milieu has been nothing short of phenomenal. Players benefit from the introduction of 3D casino games, spectacular live casino attractions, uninterrupted streaming, full mobile functionality, and exceptional gameplay. 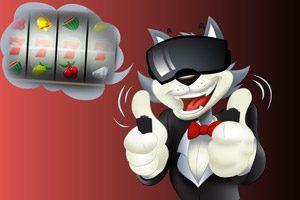 The future is bright with the top online casino vendors. 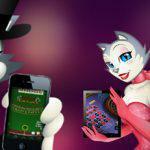 The rapid technological advancements, and the widespread adoption of Android and iOS smartphones, tablets and phablets has facilitated a burgeoning market for mobile casino games. Many of the world’s leading online casino operators like 888casino have boosted the cross-platform functionality of their online casino games by making them 100% mobile friendly. The vendors are burning the candle at both ends to ensure a seamless, integrated and engaging mobile casino experience for fans everywhere. The Google Play Store started accepting online gambling apps from fully licensed and regulated UK operators, and quickly moved to expand the services to additional countries. This has helped to boost the popularity of mobile gaming by providing players with a quick and easy access point to enjoy more of their favourite games on the go. If past performance is an indicator of future performance, trends are certainly looking bullish for online gaming in the US. In the state of New Jersey, online gaming revenue topped out at $246 million for 2017, up significantly from 2016 figures. Expectations of at least one quarter billion dollars for the current year will see the Garden State approaching a milestone of over $900 million since online gambling was legalized in late 2013. According to Statista, the global online gaming market is expected to yield $51.96 billion in 2018, $55.19 billion in 2019, and $59.79 billion by 2020. Consider that in 2015, the total value of the online gaming industry was $37.91 billion, and the projected increase by 2020 amounts to a 57.73% upside. Beyond 2020, much of the growth prospects in the industry are dependent upon online gambling legislation in the US. For example, in 2017, Pennsylvania became the fourth state in the country to legalize online casino gaming at specific venues across the state. This could add another quarter billion dollars in 2018, and if sports betting is legalized by SCOTUS in the summer of 2018, this could lead to near explosive growth of the online casino industry. For these reasons, it is challenging to forecast with any degree of accuracy, the value of the online casino industry given the gravity of the upcoming Supreme Court of the United States decision on PASPA regulation. That amounts to a compound annual growth rate of 10.8%. To date, some 80 countries around the world including Europe have legalized online gambling. While Asian online gambling activity has been stifled by government restrictions, European growth is robust. 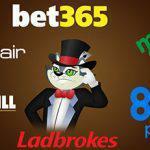 Some of the leading companies driving the online gambling boom include 888 Holdings, Watch and Wager, Bwin.Party, Ladbrokes, Camelot, Paddy Power, and TVG. The most anticipated market to watch is the US. Already 4 US states have regulated online gambling activity – either online casino, online poker, or both. Big states to watch include California, New York, and Michigan. In 2017, additional European Union countries regulated online gaming activity, notably Poland and the Czech Republic. Sweden moved closer to understanding the importance of a regulatory framework for online gaming services. Various crackdowns took place in top gambling countries like the UK, with more stringent rules regarding licensed operators. While the focus is certainly on additional regulations in countries like the Netherlands, Sweden, Switzerland and Germany, there is plenty of momentum driving the industry forward in the next few years. However, in October 2017, efforts to loosen online gambling legislation in Germany hit a brick wall when the Federal Administrative Court decided to uphold its ban on online casino activity. As such, it is doubtful whether online poker, online casino, or online scratch card games will gain traction in Germany anytime soon. VR slots, VR roulette, and VR blackjack are but a handful of the many exciting options now available with virtual reality casino games. The iGaming industry is advancing at a rate of knots, and today, virtual-reality gaming is a real thing. From humble beginnings at bricks and mortar casinos, to online casinos, and now virtual-reality gaming. VR Slots, Blackjack and Roulette games appear as if they are taking place at a casino, with realistic audio-visuals and high-resolution imaging. By simulating the visual and auditory senses of the player, a real-time authentic experience can be created with full voice and chat functionality, engagement with other players and a wide range of avatars to choose from. 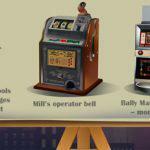 The differences between VR and traditional online casinos are stark. 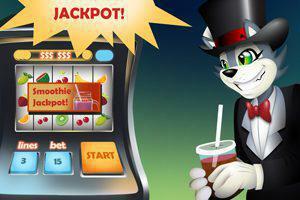 Gamblers are instantly detected in the games; there is live chat functionality, and there is multi-player engagement. Technological advancements are taking place daily, and a fantastic range of games is available. VR gaming requires high-tech computer software and hardware such as headsets, powerful graphics accelerator cards, and plenty of RAM. Augmented reality entertainment involves a 360° camera and augmented eyewear. Players use sensory inputs to improve the online gaming experience with specific hardware, virtual images, and audio-visuals. The experience is built to include most every feature, including dealers, and human overlays of virtual imagery. Augmented reality imposes computer graphics over real world phenomena. There must be a reality in order for augmented reality to work. In other words, players must be physically present at a casino, or a green screen casino experience to superimpose the ‘augmented’ reality into the mix. 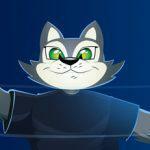 This allows for greater interactivity with the virtual world. The technology is already being applied to several online casinos in trial phases and is starting to pay dividends.